Set an inviting table with luxury Airlaid napkins. The perfect celebratory napkin should be durable and dependable. We guarantee these new line of napkins are both. 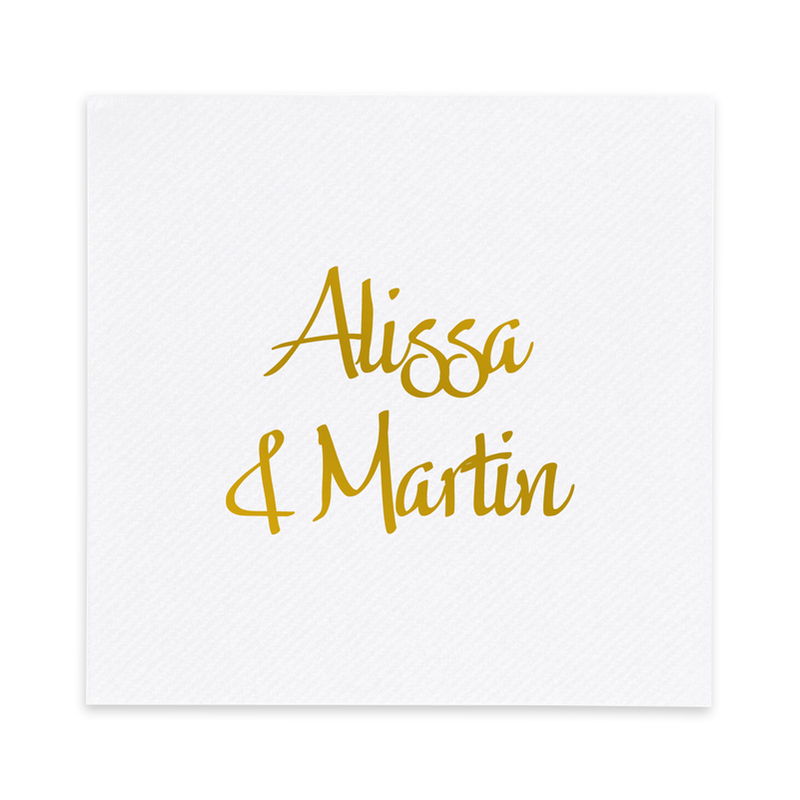 Printed in gold or silver foil on white paper, these fine beverage napkins feature our most popular designs and lettering styles. Use your monogram, name or a special message all your own. 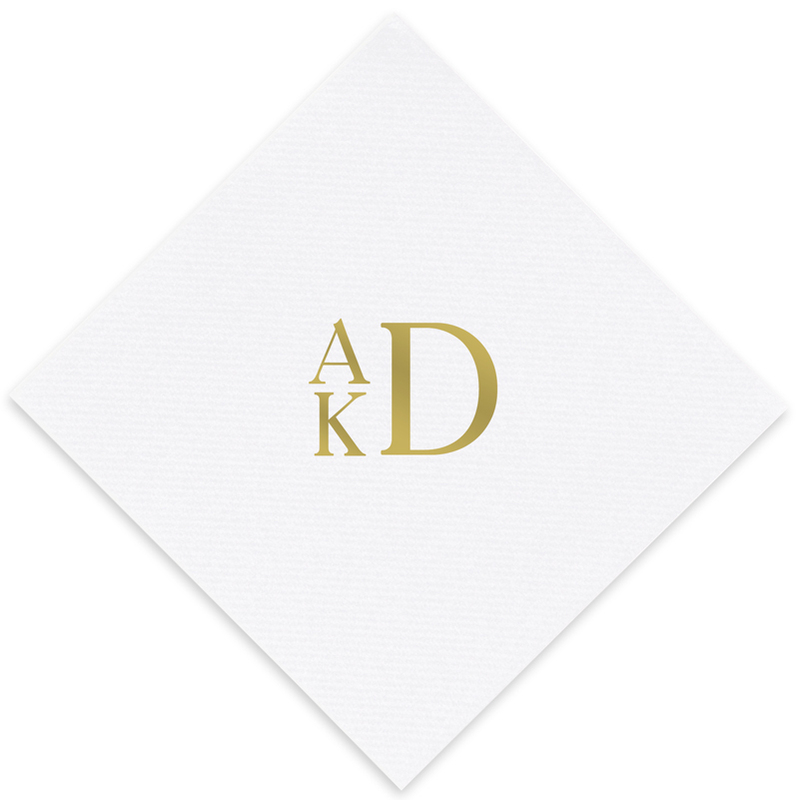 No matter how you personalize these napkins, they’ll perfectly complement your special day. The foil lettering lends sparkle and sophistication, and is perfectly applied to the paper for a sturdy bond that will never flake or peel. Airlaid napkins, made in Germany, are wonderfully absorbent, with a smooth, lint-free surface. What’s more, they are also tear-resistant when wet, protecting your surfaces and ensuring a perfect meal. Unfolding to a little more than two-thirds of a square foot, these one-ply luxury napkins are generously sized and soft to the fingers. Use them any time you want to add a special touch to an important occasion. See the collection here. You’re sure to find a design you love.